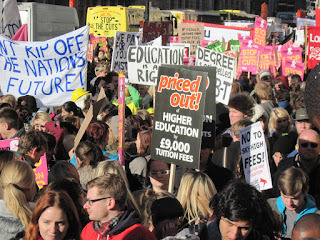 Today's joint march by students and lecturers was a tremendous step forward in the battle against the cuts. Who can argue now that the movement can't fill the streets of London? 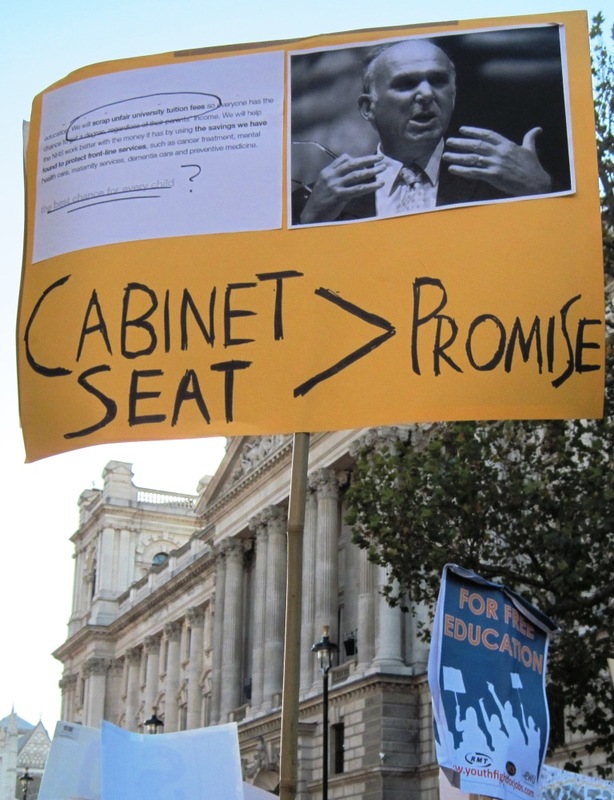 Whitehall was thronged with over 50,000 demonstrators - lecturers with their UCU members, a few NUT banners too, but, above all, tens of thousands of youth with their home-made banners and chants against the Tories - but most of all against the lying Nick Clegg " ... shame on you, for turning blue...". Today's action will help encourage the UCU to vote for a ballot for strike action against cuts and attacks on conditions and education at their special Higher Education Conference later this month. It was also an encouragement to those of us meeting for the NUT Executive who will also be discussing our plans for strike action against the pension attacks in the spring term. Could we agree on a co-ordinated ballot that could result in a complete education shutdown of schools and universities - and perhaps other unions joining in too ? Report to follow tomorrow on what the NUT Executive decides ! 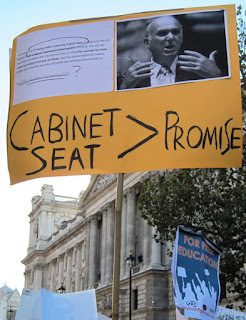 Fingers crossed fella - for a one day education strike - now where have I heard that one before.